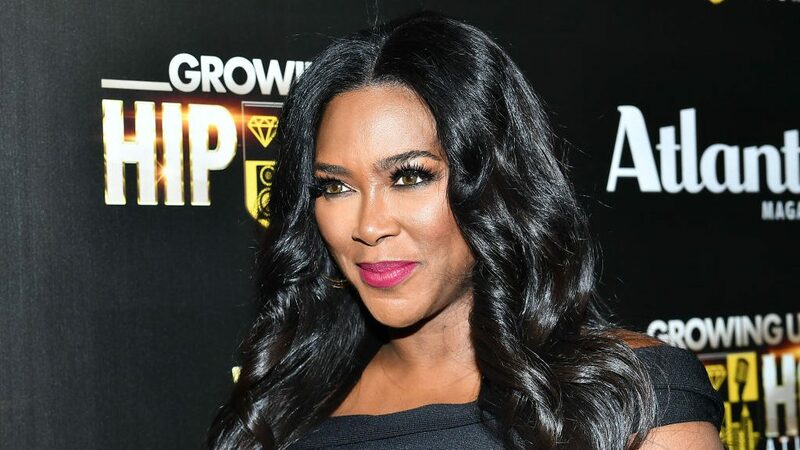 Kenya Moore gave birth to her baby girl earlier this month and she’s already showing off a toned tummy. The 47-year-old former Real Housewives of Atlanta star welcomed her daughter, Brooklyn Doris Daly with her husband, Marc Daly and revealed her impressive snapback snapshots while revealing she endured a three-hour c-section. I still can’t work out yet but I feel much better. I was cut twice during my 3 hr Csection but I made it! I’ve always been healthy and worked out my entire life…whatever my body will do I’m not rushing it. It feels good to start to feel myself again. #brooklyndaly is worth every battlescar! #myangel #miraclebaby #motherhood #love#family,” she posted. Considering Kenya Moore hasn’t even started her post-baby workouts, her recovery is quite impressive, especially after a c-section. What makes her weight loss even more drastic is the fact that she gained so much weight during her pregnancy. The beauty queen battled preeclampsia during the final stages of her pregnancy and gained 17 pounds in one week. The condition typically develops suddenly in women who previously had normal blood pressure after the 20-week pregnancy mark, according to the Mayo Clinic. In addition to sudden weight gain and swelling, preeclampsia symptoms could include severe headaches, shortness of breath, nausea, upper abdominal pain, blurred vision, impaired liver and kidney function and decreased urine output. Moore has been open about the changed her body experienced during pregnancy and posted photos of swollen feet and shared her dramatic weight gain with her followers on social media. The extra weight, brought on by severe swelling and water retention, high blood pressure and extra protein in her urine, likely caused her to give birth a bit sooner than her original due date. She revealed her reasons for choosing her daughter’s name in a recent interview. The birth represented a fairytale ending, but not one without a few scares for Moore and Daly.